Review: Last year I had the pleasure of reading Rebecca Pugh's debut, Return to Bluebell Hill, and I adored it, so I had been highly anticipating her second book. 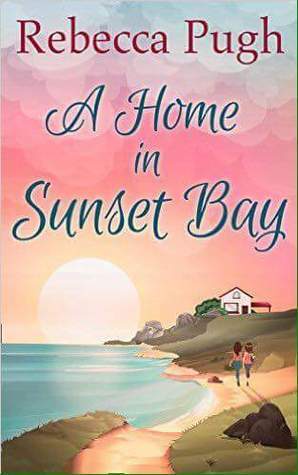 And after reading it, I can say that A Home in Sunset Bar is a lovely and cosy story about family, love and friendship that lived up to my expectations. Rebecca takes us once more to a small town where there's a great sense of community. And once again, I fell totally in love with the place. With the stellar Dolly's Dinner as its centre. The 50s dinner is run by Mia Chapman, who inherited it from her grandma and is giving her all to keep it running with the same success. I could totally picture the dinner with the jukebox playing in the background and the costumers enjoying its delicious stacks of pancakes. So all is going well with Mia until her sister, Laurie, turns up out of the blue and decides to stay in Sunset Bay. Mia and Laurie haven't been close for years so I found it very interesting to read about their interactions. They had to get to know each other again and try to solve their differences. And even if I think that this plot could have been a little more complex (as I think it had game enough for a couple more twists), I really liked the way Rebecca "handled the situation". But the story not only focuses on the relationship between the two sisters. Romance plays its role too as the love flourishes in the dinner, which made me very happy indeed. I love it when characters I end up caring for so much get their happy endings, and with Rebecca I know they will. As I said, A Home in Sunset Bay is a warm and uplifting story that will put a smile on your face. Rebecca's writing makes you feel part of the book and the story flows easily. 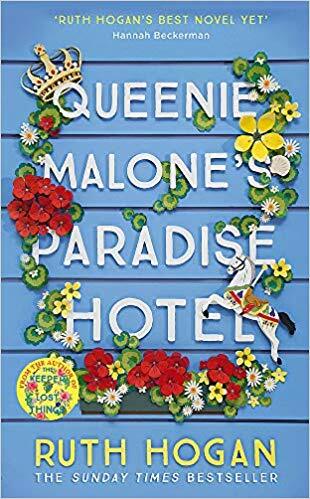 So if you are looking for an escape to a lovely coastal town with a lively community, then this is your book. Perfect to get in the mood for spring! Yesterday, Rebecca Pugh stopped by to share the Playlist for A Home in Sunset Bay, have a look now if you missed it.